The Stout Scarab has the title of being the first minivan, and it was truly ahead of its time. This American auto was around during the 1930s and 1940s and is now a part of automotive history. William Bushnell Stout designed the Scarab, and Stout Engineering Laboratories manufactured it before Stout Motor Car Company in Detroit took over production. 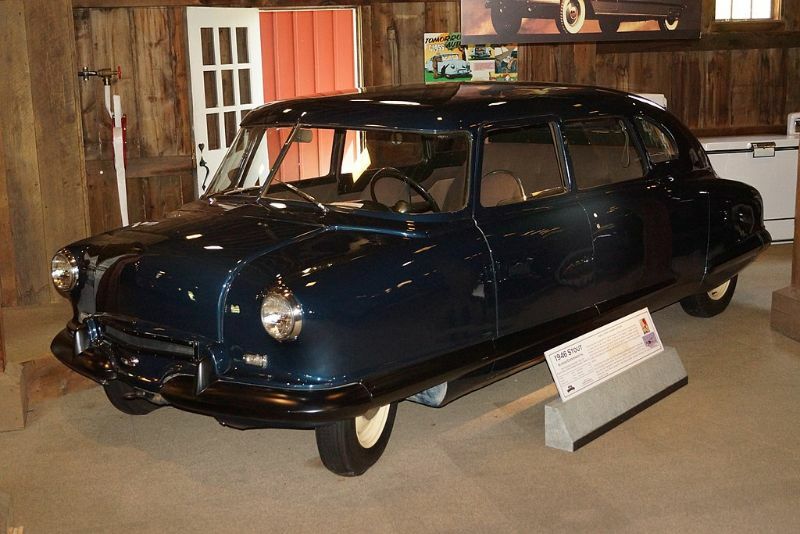 Not only do many consider the Scarab to be the first minivan in the world, the 1946 prototype was also the very first auto that had an air suspension and a fiberglass bodyshell. At the time the Scarab was produced, most production cars had a separate body and chassis along with a long hood. Most had the engine and engine compartment behind the auto’s front axle in a longitudinal arrangement. The front engine usually sent power to the rear axle via a driveshaft that ran underneath the auto’s floor. While the layout functioned, it led to limited passenger room, which led to a completely different approach for the Scarab. The Stout Scarab did not use a driveshaft and chassis. Instead, it delivered a low and flat floor with a unitized body structure. The V8 engine also went into the rear of the vehicle instead of the front. 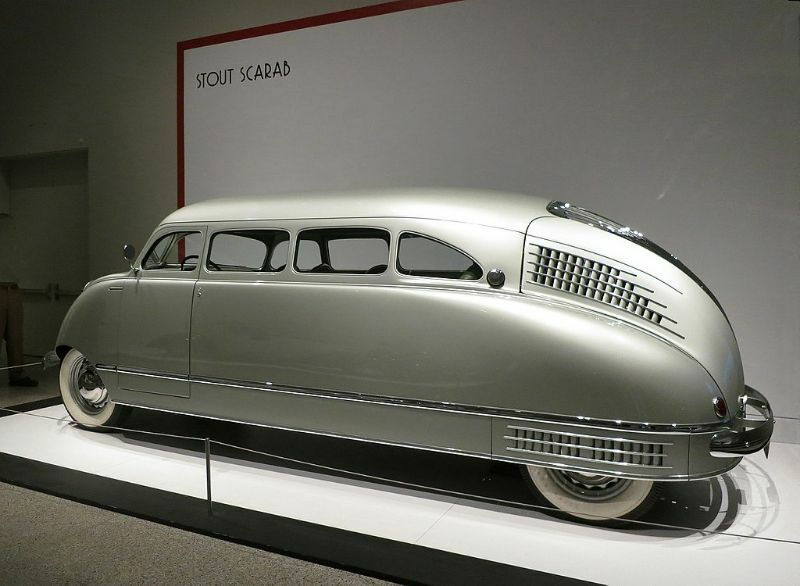 Stout, the designer, saw the Scarab as being an office on a set of wheels. 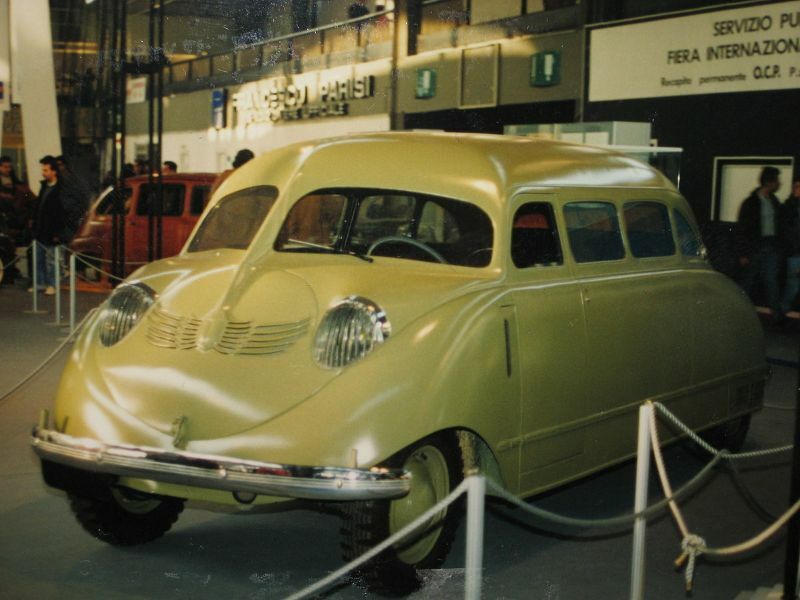 Because of this, Dutch automobile engineer John Tjaarda designed the Scarab to emulate the design of aluminum aircraft fuselages. Thanks to lightweight materials, the large vehicle still weighed less than 3,000 pounds. The front end of the Scarab was also quite different from other autos of the time. It had a short and streamlined nose with tapering in the rear upper body. This styling is a key reason that many credit the Scarab as the first minivan since this styling is found on minivans today. In addition to its unique body style, engine placement, and front-end design, the Stout Scarab has a range of other highly innovative features. The second-row seats could turn a full 180 degrees and face the rear, and there was a removable table. The amount of interior space in the Scarab was what truly set it apart from other autos of the time. Between the engine placement and long wheelbase, there was plenty of room. 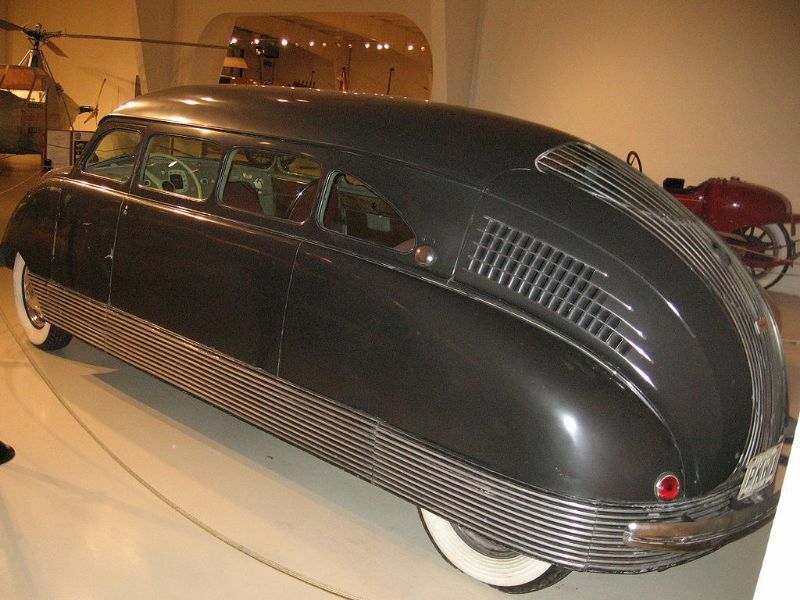 There was a large single door that passengers used to get inside the Scarab, much like the sliding doors on current minivans. The interior offered chrome, wood, leather, and some Egyptian scarab motifs. In terms of structure, the Stout Scarab was highly innovative, opting for an independent suspension that had coil springs on each of the four corners instead of the leaf springs and rigid axles of most cars of the day. This led to a smoother ride and a reputation for steering well on rough roads. You will not be able to own a Stout Scarab today unless you are incredibly lucky and extremely rich. Experts believe that only nine Scarabs were ever built. Since they were all handmade, no two are identical. You may be able to find one to admire, however. In 2015, the Detroit Historical Society received a donation of a Stout Scarab.